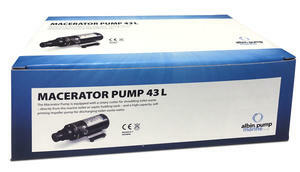 Macerator Pump 12V equipped with rotary cutter and impeller to discharge waste water with high capacity. 43 L/min (11,5 GMP) output at 4m total head. Self priming up to 3m vertical lift. 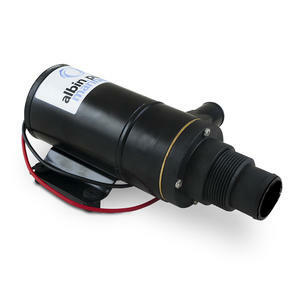 Brass and stainless steel internal parts and pump body in thermo polymer with a long lasting impeller. In connection 38mm (1,5") and out 25mm (1"). 12A fuse. 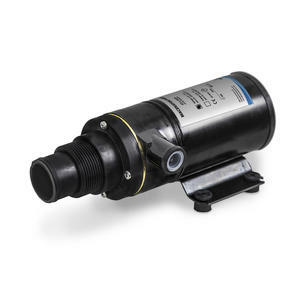 Interchangeable with Jabsco 18590-2092, Johnson Pump 10-24453-04.